Photo shoot for French magazine, Amusement. Gaming magazine (as in video gaming), Amusement is a French quarterly with a unique view of the gaming world. It’s like no other gaming magazine really. After flicking through the pages one might mistake it for a high-end design magazine. 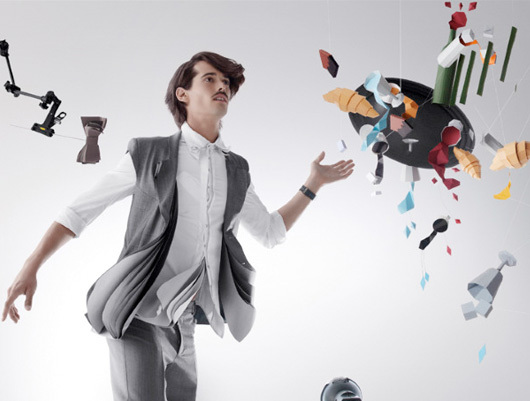 This particular shoot is the genius work of Le Creative Sweatshop (I love these guys), a French duo who create magical sets, installations and objects with paper. To see them in action you can watch their documentary here.